New! Redi-Lock™ 250, 250 PSI Push-On Hoses are now available in red and blue colors in 1/4", 3/8" and 1/2" ID sizes for use with low pressure pneumatic systems and air tools. 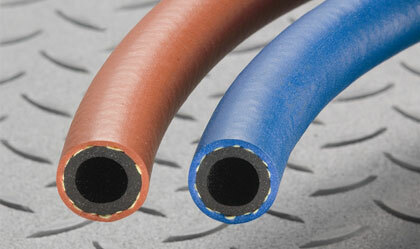 Hoses are constructed with a Nitrile rubber tube and a Nitrile/PVC cover to work at a service temperature range of -20°F to 180°F. Click here for more info.